How to Clean Clothing and Fabrics After a Fire - We can help! 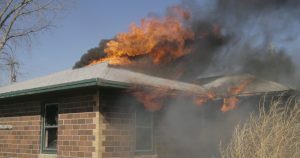 A home fire can be a frightening ordeal, leaving a huge burden in its wake. The health and safety of those living in your home–adults, children, and pets–are top priority, followed next by the structural and operational integrity of your home. But once you’re given the OK from authorities to return to your residence, the recovery process may leave you faced with restoration issues you’ve never before experienced. A top one that comes to mind is cleaning and removing smoke odor from fabric. The smell can linger in textiles throughout the home, such as carpet, upholstery, drapery, clothing, and pillows. Even a small fire can lead to clingy odor that seems impossible to get out. The good news is that by using the following tips and working with fire restoration professionals, many of your items can be refurbished instead of having to be completely replaced. The black powdery or flaky substance left by a fire is called soot. It is typically made up of very fine particles, which can move as easily in air as can dust. Before odor can be tackled, soot must first be eliminated as it is one main source of the odor. Removing soot can be complicated, because though it looks dusty, it contains a lot of oils which can stain textiles. Working with a professional fire restorer is the best course of action to avoid further clothing and fabric damage. If you choose a DIY approach, use a heavy duty vacuum cleaner and hold the nozzle above the soot to avoid rubbing it into the surface you’re trying to clean. Throwing items, such as clothing and towels, into a washing machine may be your first instinct when ridding your home of the fire and smoke smell, but it’s not advised. Your washer and dryer can actually cause the odor to set into the fabric, making it difficult–if not impossible–to eradicate. You’re better off calling in a professional, who begins the cleaning process with an ozone treatment. In this process, an oxidizing agent is used to break up the smoke molecule and eliminate the odor. Once items have been deodorized, you are free to start cleaning. Many textiles, such as clothing, bedding, and towels can be run through the appropriate cycles of your washer and dryer. Other items, such as smaller rugs, drapery, and clothing with special care fabrics can be taken to a dry cleaning professional. For larger items, including furniture upholstery and carpeting, working with a cleaning expert is recommended, as they typically have the proper tools and machinery that work best for the textiles needing care. We, at A&J Specialty Services, Inc. DKI, are experts at restoring homes, businesses, and structures. Fire and smoke damage can be extremely messy. Cleaning the fire damage or smoke damage, removing odors, and cleaning your personal belongings or contents is what we specialize in. Let us help you get back on your feet as quickly as possible and return your home or business to its pre-loss condition – with our emergency fire and water restoration. 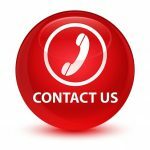 Contact A&J Specialty Services DKI for your emergency water and sewage damage, fire and smoke damage cleanup, or black mold removal today. A&J Specialty Services Inc DKI provides 24/7 emergency water restoration, sewage clean up, fire and smoke restoration, and mold damage cleanup for homes and businesses around Madison, Middleton, Sun Prairie, Waunakee, Milwaukee, Brookfield, WI Dells, Fort Atkinson, Watertown, Oconomowoc, Waukesha, West Allis, and surrounding Dane County Wisconsin areas.